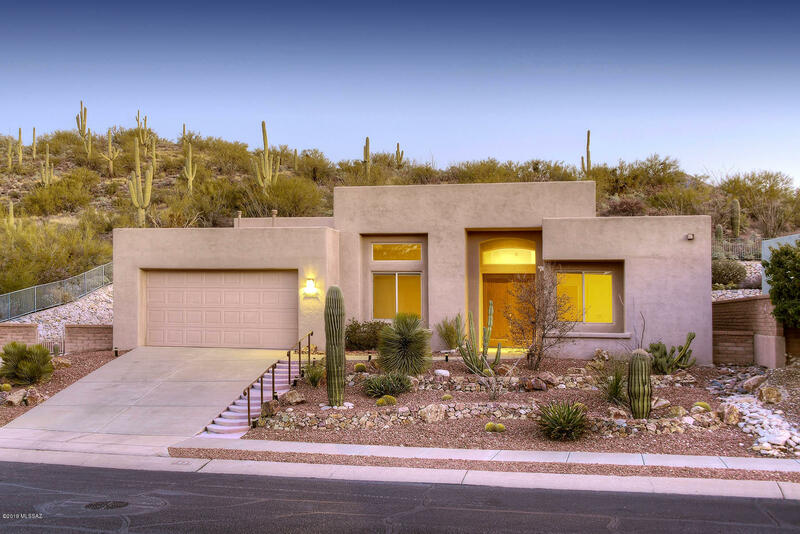 All Bonita Ridge Amended Plat homes currently listed for sale in Tucson as of 04/23/2019 are shown below. You can change the search criteria at any time by pressing the 'Change Search' button below. "3 BEDROOM two bath in desirable Fairfield built Bonita Ridge. End Lot. Privacy abounds. Enjoy floor to ceiling windows with covered patio & easily maintained yard. Kitchen opens to great room for that wonderful open plan. A real cooks kitchen with lots of cabinets for storage & kitchen island w/ breakfast bar to socialize with your guests, double ovens, granite counters, gas stove, black appliances, & huge pantry. In the master bathroom find separate tub and shower, double sinks, huge master cl"